A group of women dressed like characters from the book and television show 'The Handmaid's Tale' hold signs during a protest in front of the state Capitol March 18, 2019. When a bill that would give Georgia the toughest abortion laws in the country moved out of a Senate committee Monday, protests were loud and to the point. A rallying cry of “Shame!” reverberated through the top floor of the state capitol, but far from feeling shame, legal watchers say supporters of tighter restrictions on abortion expect and even welcome this type of reaction. 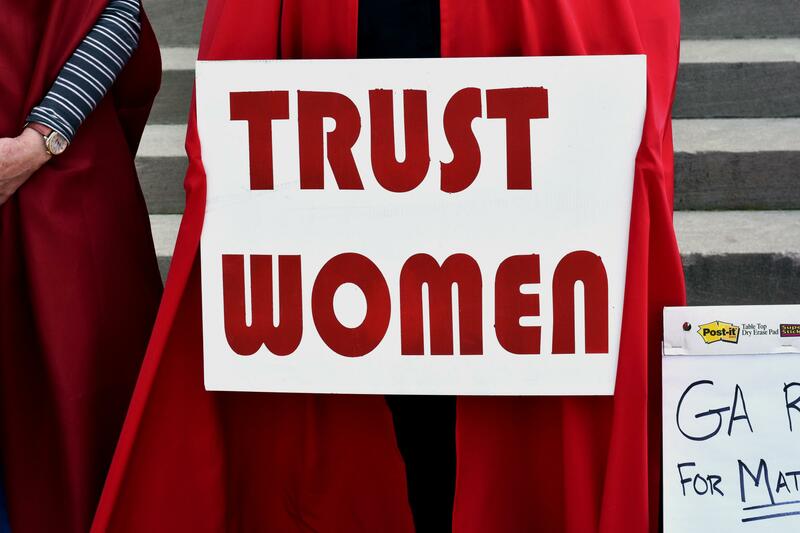 A woman holds a sign reading 'Trust Women' at a protest against Georgia's "heartbeat" bill in front of the Capitol March 14, 2019. That's because on paper, these bills would mostly end abortions once doctors detect a heartbeat, which is around six weeks into pregnancy. But the bigger payoff would be passing a bill so unconstitutional that abortion has to be considered again by the U.S. Supreme Court, and that would have implications across the country. Heartbeat bills in other states have been stopped by other judges, but none of them have been heard by the top court. In 2018, Iowa’s state supreme court ruled a woman’s right to have an abortion was guaranteed in its state constitution. Bills in Arkansas and North Dakota have been blocked by the 8th Circuit in the U.S. Court of Appeals. Just last week, a federal judge in Kentucky temporarily blocked that state’s heartbeat law. Martin Cannon is a lawyer with the anti-abortion non-profit Thomas More Society based in Chicago. He represented Iowa in one of its many heartbeat bill lawsuits. He says states are rushing to pass abortion-related bills - whether it’s tougher restrictions in Georgia or adding protections like New York just did. And states are doing so in case the Supreme Court overturns Roe v. Wade, the decision that made abortion a federal issue. Cannon also says that’s the reason Georgia’s bill is different than Iowa’s, or Tennessee’s, or any other state for that matter. While the general push to pass a heartbeat bill is nationwide priority for abortion rights opponents, there is no one cookie-cutter bill that is preferred. While these unique versions of the bill are helping other states prepare for a post-Roe era, anti-abortion groups think Georgia’s bill will actually be the one to get challenged in the Supreme Court. 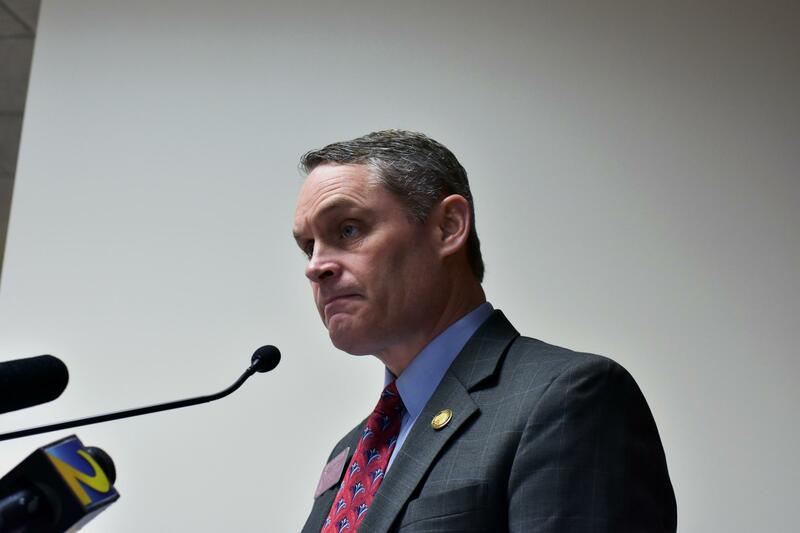 Rep. Ed Setzler (R-Acworth) sponsored HB 481, the "heartbeat" abortion bill. Joshua Edmonds, executive director of the abortion-opposing Georgia Life Alliance, says that’s because Georgia’s heartbeat bill goes further than others. For instance, it would allow Georgians to claim an embryo as a dependent on their taxes just as they would an infant. Edmonds is optimistic that rather than the abortion restrictions, it’s calling for child support for embryos, counting them in the census and the tax break -- essentially legislating personhood – that could propel a Georgia heartbeat law to a hearing before the Supreme Court. Rep. Dar’Shun Kendrick, a Democrat from Lithonia, made headlines after the House passed a version of the bill by introducing a “testicular bill of rights” legislation that would do things like ban vasectomies and require men to get permission before getting a prescription for erectile dysfunction medication. Her proposal that men would be required to pay child support once a heartbeat is detected was added in to the current version of the bill, but she is still opposed to it, and said legal challenges would come as soon as Gov. Brian Kemp signed it. 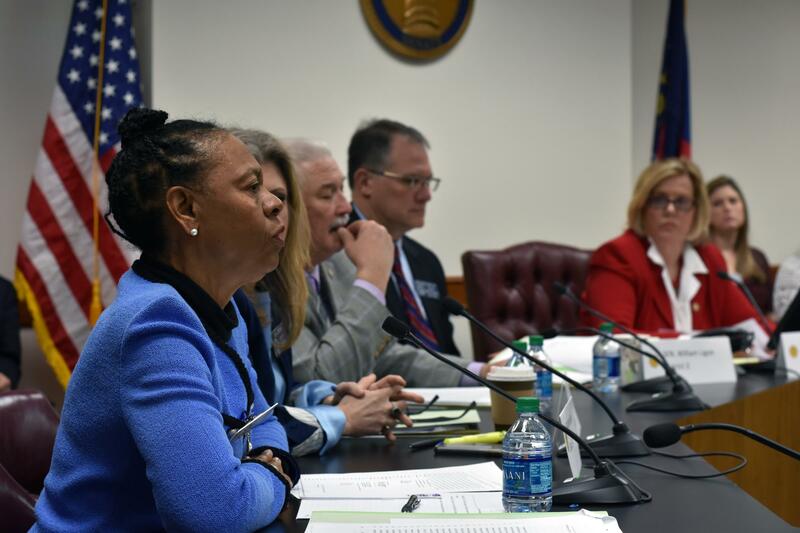 Sen. Valencia Seay (D-Riverdale, front) speaks in opposition to HB 481 Monday, March 18 in the Senate Science and Technology committee. Kendrick also said if the Supreme Court does hear the case, she doesn’t think they would side with supporters of the heartbeat bill. That history is the legal principle of stare decisis, which basically says the court will defer to a previous decision, even if today’s justices may disagree with it. Edmonds says the best hope anti-abortion groups have runs through Georgia. “[The Supreme Court of Georgia] and the [U.S. Court of Appeals for the] 11th Circuit that covers Georgia are friendlier to this issue than any other state supreme courts and other circuits are,” he said. Republican Gov. Brian Kemp vowed on the campaign trail to pass the “toughest abortion laws in the country,” a designation he would temporarily get until a likely court challenge would halt enforcement of the bill. HB 481 could be debated on the Senate floor as early as Friday.